It’s often presumed that if you use a fabric structure to create an exhibition space, you can’t benefit from the same thermal properties as traditional buildings. However this is not the case, and you can still have an insulated area when using a fabric exhibition roof. Energy conservation is becoming a more critical element of building development, and businesses must meet tougher rules and regulations when it comes to the thermal performance of their structures. This doesn’t mean, though, that fabric structures such as a tensile canopy roof design are off limits, as products are now available that compare favourably with insulated traditional roofs whilst at the same time providing the uniqueness companies are looking for to differentiate themselves. With a traditional building the thermal properties tend to remain the same across the day and year, by the use of thermal insulation and thermal mass. This enables heat to be absorbed as the temperatures increase and then released when they drop off again, which takes a minimal amount of energy. 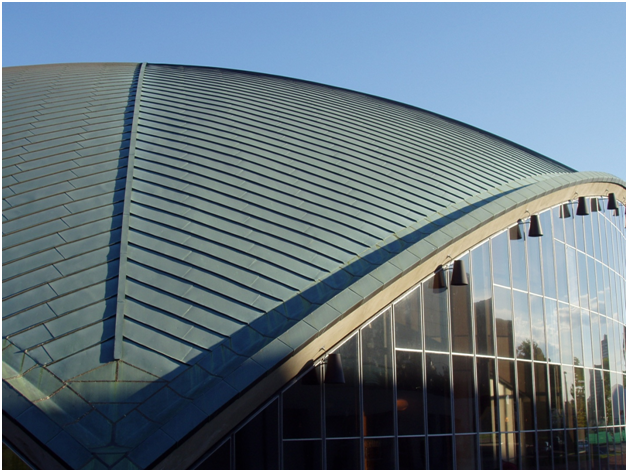 However, architectural fabrics such as the tensile canopy roofs manufactured by http://fabricarchitecture.com/ need to be designed differently in order to maintain comfortable temperature levels. When you have a fabric exhibition roof, whatever the environment is outside this will almost instantly translate to the inside and any cooling or heating used will soon be lost. Even in the UK, where we don’t have vast temperature extremes, a fabric roof can be over 20C warmer than the actual air temperature on a sunny day, and also 3.5C cooler during a clear night. There’s also the issue of regulating the temperature when you have such a large surface area to cover, which will heat up with the sun and then cool quickly once it goes in. This means that the thermal conditions within a fabric structure can change very quickly, which is why insulated tensile structures are the best choice for exhibition roofs. The fabrics use a sandwich system to keep the inside space warmer, and panels are joined more effectively to reduce the amount of heat that is lost. We have become used to the inclusion of tensile fabrics for outdoor structures such as sports stadium, but these developments will enable them to be effective in almost any building.